Cookies Levain Bakery. Happy 4th July! 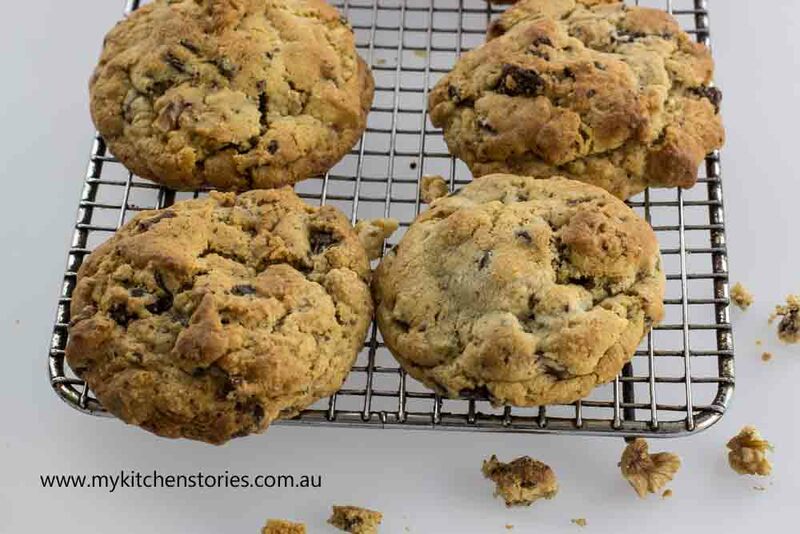 I am in New York, so it is a perfect time to share a Levain Bakery Choc Chip Cookie recipe. In a couple of days it will be Independence day and time to make an all American cookie. So Happy 4th July. 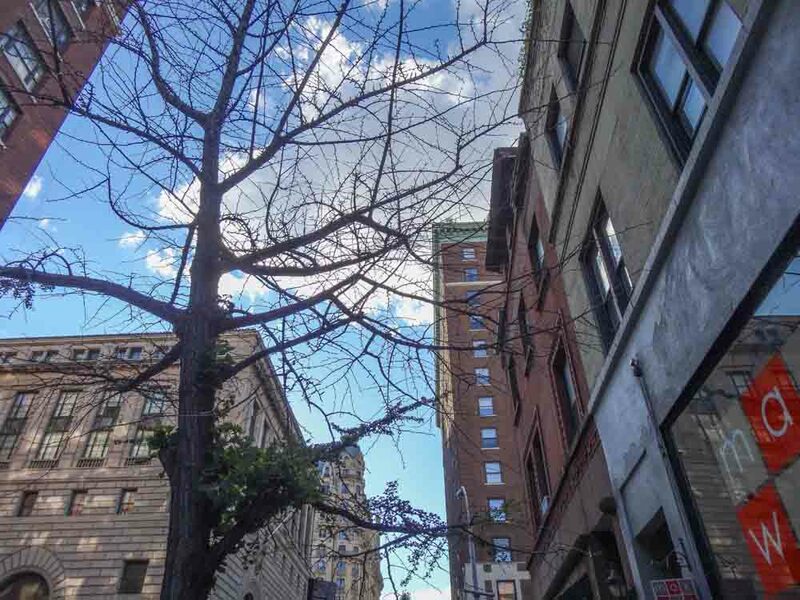 There are two stores in New York, this west side beauty and the other is in Harlem. It’s a very basic bakery with nowhere to sit except a bench near the window outside the store. Nobody was sitting there, they were all in the line. 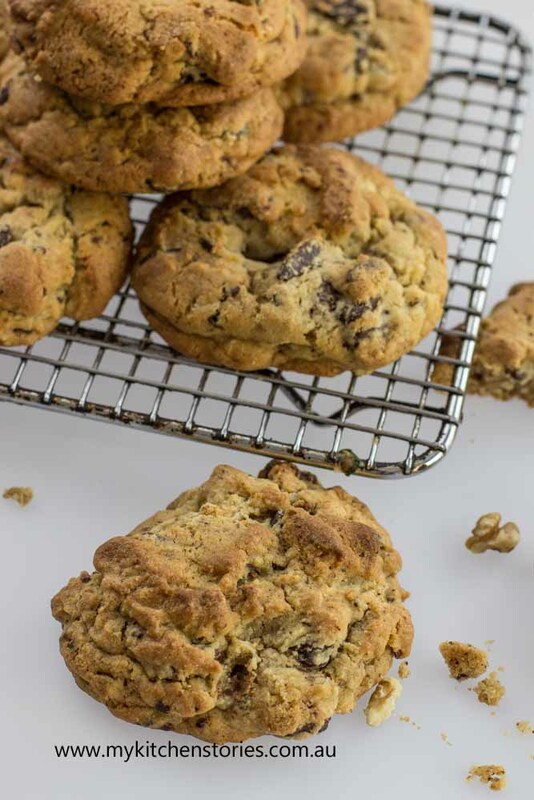 To be fair cookies aren’t the only thing they bake, they make an array of other baked goods like…..Valrhona Chocolate rolls, chocolate brioche, bagettes, boules even Italian style Bomboloncini and Muffins just to start…….Ok, so back to the cookies, huge cookies. 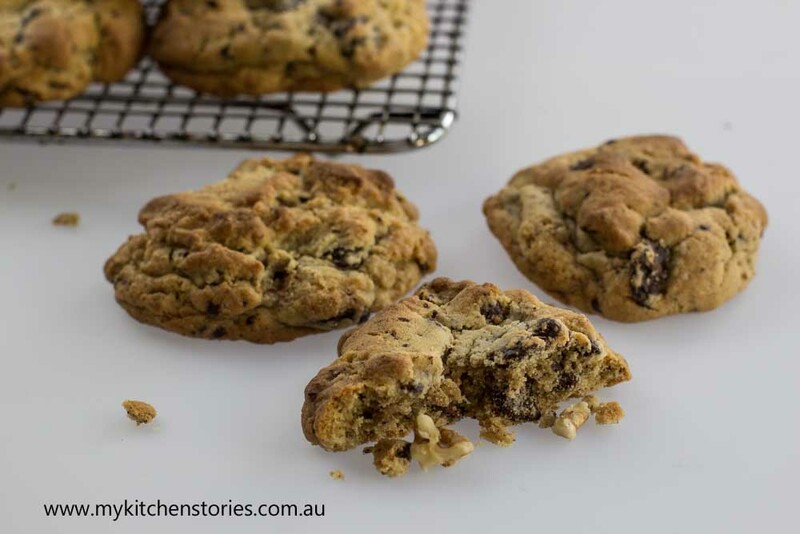 The one I have copy-catted is the Chocolate Chip and Walnut but there is also an Oatmeal Raisin, Dark Chocolate Chocolate Chip and a Dark Chocolate Peanut Butter Chip. I love them all. 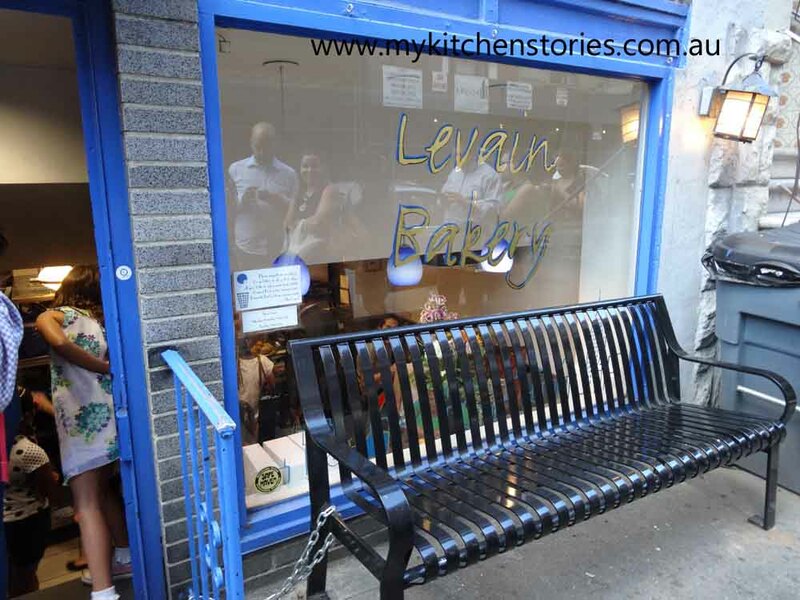 Levain has been baking cookies and keeping people in lines since 1994, and ever since that time they have also been donating the left overs at the end of each day to Charity. This may not be so good for the hungry as I can’t imagine how much they must have left at the end of the day. It was started by Connie who was in banking and Pam in Fashion. They wanted to make the best chocolate chip cookies in the world. The oven is still on. 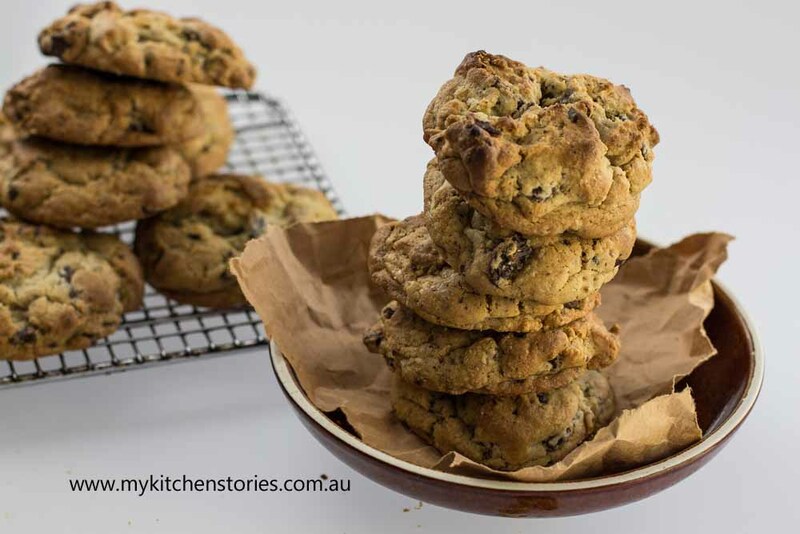 Levain Bakery Choc-Chip Cookies. Happy 4th July! Beat the butter just till soft and add the two sugars till well combined.This doesn't need to be fluffy like a cake, just soft and combined. Add the eggs one at a time along with the vanilla. Mix well and scrape down the sides. Mix the flour baking.powder and soda. Add the flour and mix in a little before adding the chocolate and nuts and mixing until the dough is combined. Bake for 16 ( refrigerated) to 20 minutes ( frozen) or till golden on the outside and nice and soft inside. NOTES: The mixture needs to be very cold before rolling into balls. This is so that it cooks on the outside nice and crispy and stays doughy in the middle. Make sure the balls are nice and rough and round. Chunky, nutty and chocolatey….they are simply awesome! Pass me a big glass of milk. These sound like the perfect afternoon pick-me-up! Hi Helen yep perfect with milk I am sure. It’s a cold and grey election day here in the Adelaide Hills and I think some baking is definitely called for. I can’t wait to give these a go. You might be in for a shock when you get home from gallivanting around the sunny northern hemisphere – it’s a bit nippy here in Oz. 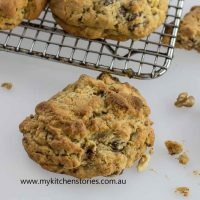 Yes i love a chunky cookie and these ones added some chunk to my weight! These sound AMAZING!!!!!!! I am adding them to my list! 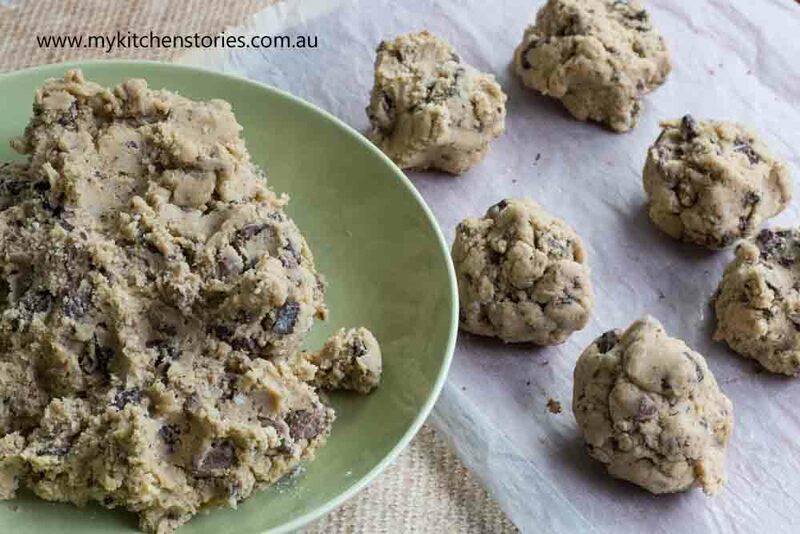 I blame these cookies for me putting on weight because I made 4 batches and ate most of them!